Where to Sail from Dubrovnik Base? 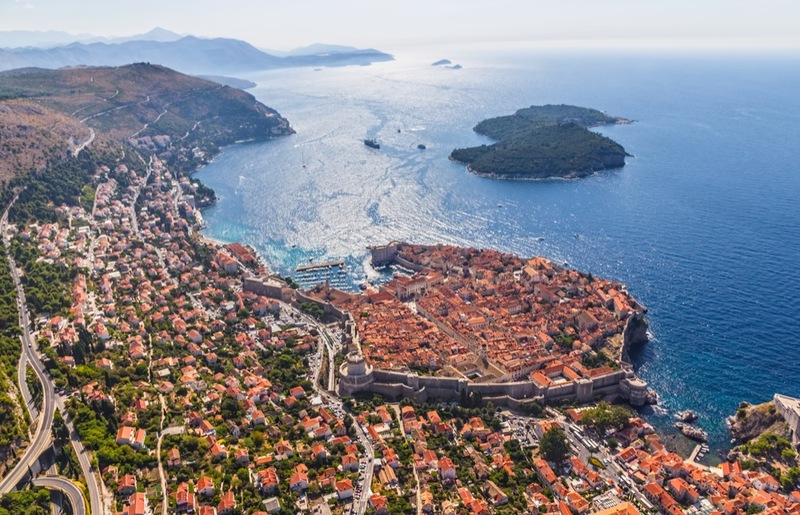 Dubrovnik is one of the most popular and one of the most visited tourist destinations on the Adriatic due to its numerous historical sites, the special atmosphere felt within the city walls, and a rich tourist offer in the broader region. In addition, there is a beautiful marina near Dubrovnik which could be considered a historical site as well. The marina is situated in Komolac, at the spot where many nobles from Dubrovnik used to build their leisure houses back in the period from the 17th to 19th century. Nowadays, ACI Marina Komolac is home to numerous charter companies, which means that there is a lot of potential routes for sailing around the area. The following route is just a suggestion for experiencing one of the most interesting sites of the South Adriatic region. The distances stated in the text refer to the approximate ideal line, while the real sailed distance would depend on the type of the vessel, sailing skills and style, as well as the weather conditions. Let us start with setting off from ACI Marina Komolac and steering our yacht down the bay of Rijeka Dubrovačka. 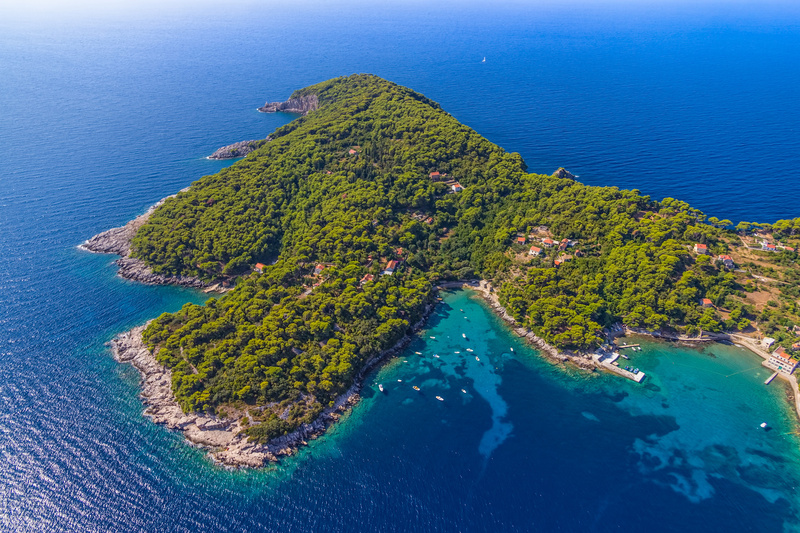 After passing under the highway bridge and reaching the open sea, take the NW course and pass the NE and E shores of Daksa islet and Koločep island. 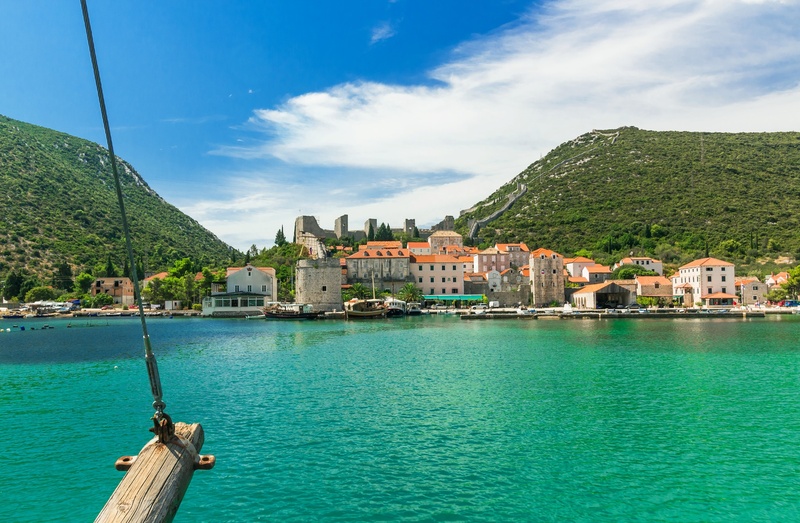 After passing the strait between Koločep and Lopud islands, go NE towards the island of Šipan and continue alongside its SW coastline to the island of Jakljan. Your destination for the first day of sailing can be Šipanska Luka, which you will notice right after passing the strait between Jakljan and Šipan and heading SE into the bay. Šipanska Luka provides a good shelter from all winds and was recognized by the medieval Dubrovnik nobility for its natural beauty, peace and picturesque scenery. The length of this route is approximately 15 NM, so Šipanska Luka is in the range even if you set off from Komolac on Saturday afternoon. 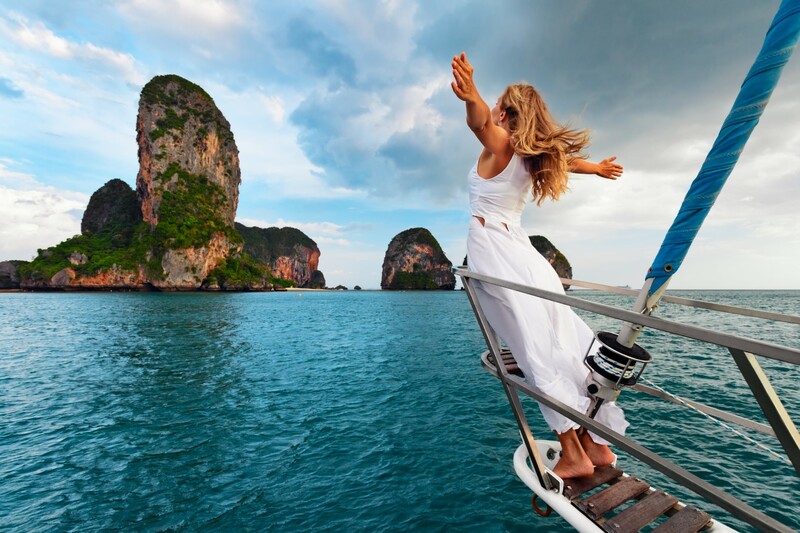 Don’t snooze on this opportunity – book your catamaran now! If everything is fine with the weather and the mood onboard, it would be a good idea to get up earlier and take a 35 NM route to the island of Korčula. Favorable WNW winds in the Mljet Channel can contribute to an exciting sailing experience, while on an archipelago of small islands just in front of Korčula you can come across some interesting swimming spots. 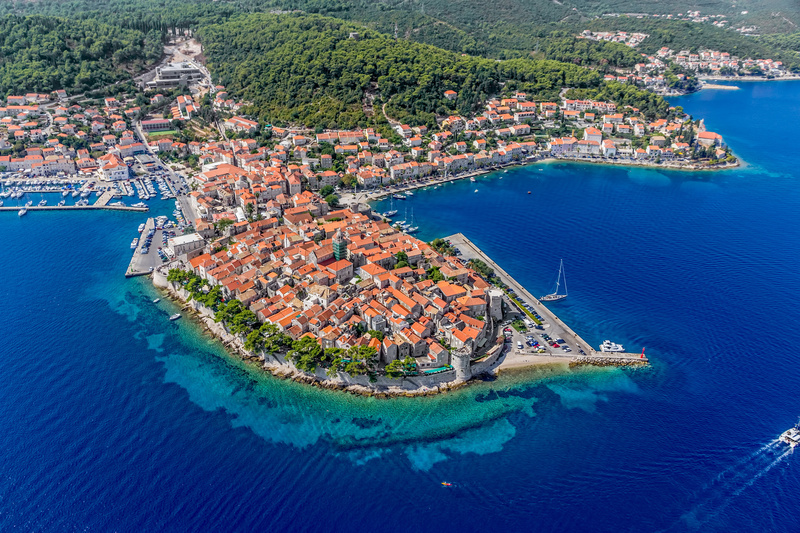 Moorings and fresh water along with 220 V electric plugs are provided by ACI Marina Korčula in the very center of the town or at Marina Lumbarda at the village of Lumbarda, which is just a few bus stops or a 10 minutes taxi drive away from Korčula town. You should reserve the evening for a scenic walk within the medieval city walls and a dinner at one of the unique restaurants of Korčula. The third day takes you another 25 NM WSW towards the island of Lastovo. One could spend the entire week sailing around the island and its archipelago. A safe anchorage is provided at Skrivena Luka (“hidden harbor”). You will have to pay for the anchorage as the entire area around the island Lastovo is a nature park. The islands offer numerous coves and beaches ideal for swimming and snorkeling in crystal-clear turquoise waters. One of the most spectacular views on the South Adriatic can be seen from the Cape Struga from the lighthouse Struga at the S part of Skrivena Luka bay. If contacted, the lighthouse-keeper’s family can provide you with an unforgettable meal, while the lighthouse keeper will take you on a fishing trip if you deserve it. 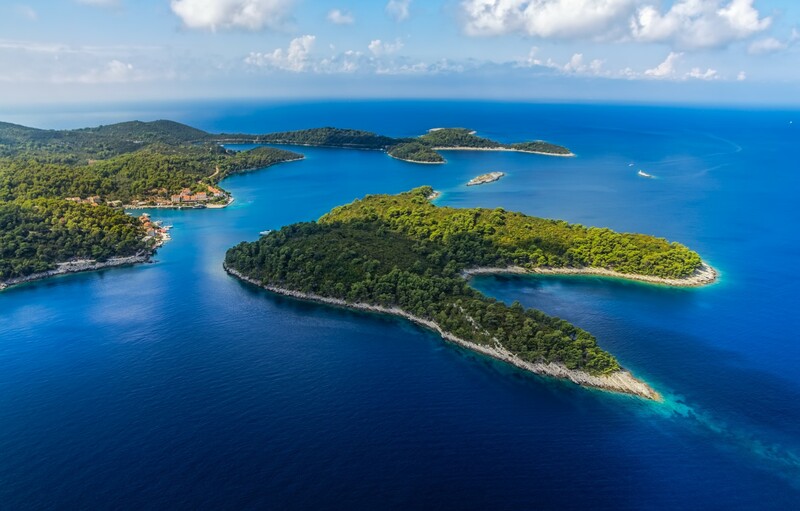 Another 27 NM NE will take you to Polače on the island of Mljet. A nice break awaits for you in the village Pomena on the NW point of the island. Aside from nice anchorages and the famous salt lakes, there is a national park just a few minutes of walking from Pomena waterfront. Diving, hiking and mountain bike trips to the Mljet National Park are available from Polače, the biggest and the most protected port of Mljet island. 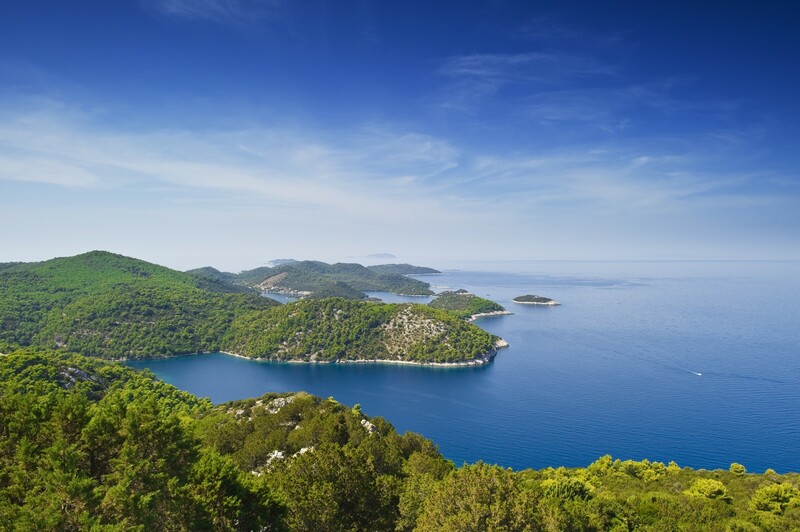 The fifth day of the trip is reserved for sailing alongside the island of Mljet, all the way to its southernmost point. Our destination is Saplunara bay, west from the southernmost end of the island. Saplunara, with its sandy beach, is one of the most beautiful bays on Mljet. The bay is well protected from all winds while its sandy bottom guarantees a safe anchorage. The bay is surrounded by a thick pine forest, which contributes to the feeling of tranquility. Day six is meant for crossing the channel between the island of Mljet and the Pelješac peninsula, and spending the night in Kobaš. This small village gained its popularity among yachtsmen and other adventurists for its exquisite offer of genuine food and wines. Hidden bays and coves in Ston bay offer a unique essence of an untouched natural paradise with turquoise crystal-clear waters. Unfortunately, the last day of the South Adriatic adventure always comes faster than anybody expects. It is a good idea to head towards the Elaphiti archipelago and take a last swim break on this trip. 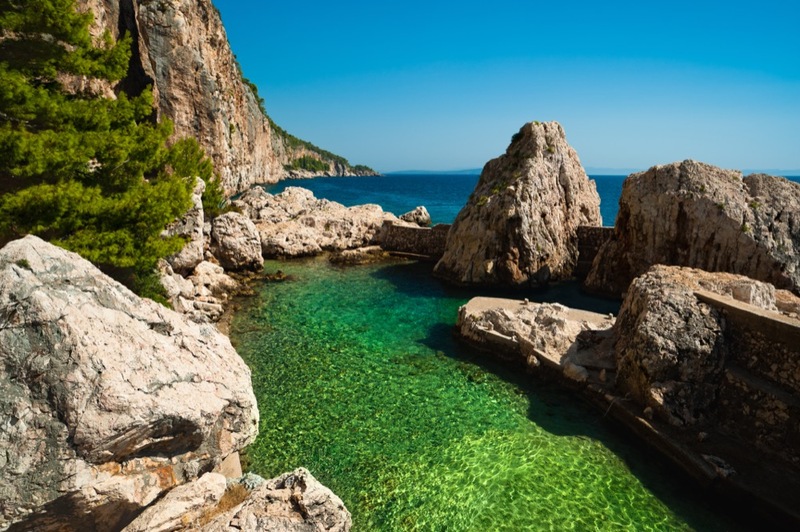 Šunj beach is a perfect swimming spot on the SE side of Lopud Island. The last thing you have to do on this trip is to fill your tank with fuel at the gas station at the W side of Gruž port or at the one at the marina. Make sure that you ask for working hours of both gas stations and keep in mind that both of them are very busy in the high season.